Scheme for Capacity Building in Textile Sector (SCBTS) by Central Govt. Sarkari Yojana » Central Government » Scheme for Capacity Building in Textile Sector – Skill Development by Central Govt. 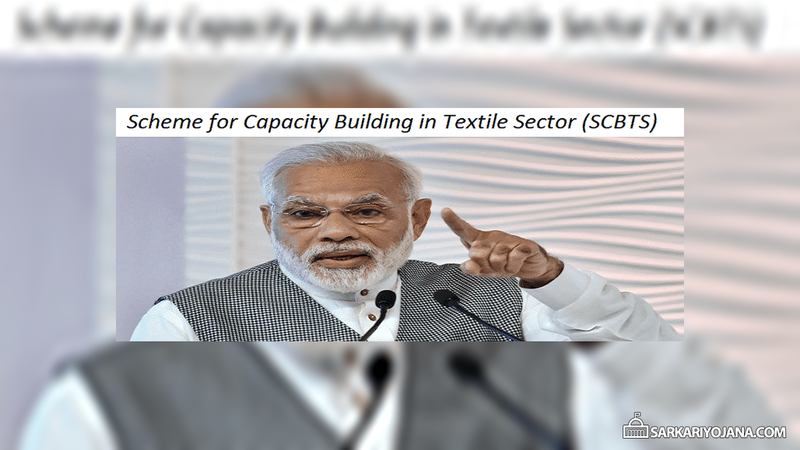 Union Cabinet of Central government approves Scheme for Capacity Building in Textile Sector (SCBTS). Subsequently, this scheme will provide skill development training to provide jobs in organized textile and other related sectors. Accordingly, govt. will spend Rs 1300 crore for this scheme for the period 2017-18 to 2019-20. Under this scheme, the central govt. will provide various training courses compliant to National Skill Qualification Framework (NSQF). The funds for these courses will be as per the norms specified by the Ministry of Skill Development and Entrepreneurship (MSDE). The central govt. will cover the entire value chain of textile sector excluding weaving and spinning. This scheme will provide skill development training to approx 10 lakh people. Among these, 1 lakh people will receive training in traditional sectors. This scheme will provide employment to 70% of the trainees on the wage basis. To provide demand driven Skill Development Programme. Subsequently, this scheme will encourage the industry efforts to create jobs in textiles and orther related sectors. Accordingly, this scheme will provide placement oriented skill programme and post placement tracking is mandatory. Moreover, the Central govt. will also promote skilling and skill upgradation in several traditional sectors with the help of respective Sectoral Divisions / Organizations of Ministry of Textiles. Furthermore, SCBTS scheme will also help in providing livelihood to all the citizens belonging to different sections of the society. The central govt. will implement this skill development scheme through industry to fulfill the in-house necessity of manpower. Certain reputed training institutions applicable for textiles sector and Institutions of Ministry of textile/State govt. will also implement this scheme. However, these institutions must have tie-ups with textile industry or units for the placement purposes. Skill targets will get assigned for various job roles on the basis of skill gap in entry level courses, up-skilling and recognition of prior learning. Central govt. will include web-based monitoring to successfully implement this scheme. Moreover, govt. will consider the skill requirement of traditional sectors like hand-looms, handicrafts, jute, silk etc as special projects. Central govt. focus on the development of entrepreneurs through enhancing skills using various provisions of Mudra Loans. Henceforth, this scheme will provide benefits to all sections of the society. Furthermore, govt. will give special preferences to the SC / ST / Minorities / Person’s with Disabilities and Women candidates and will impart skill training. Please send the details of the SCBTS, Scheme for capacity building in textile sector. We employ as many as 6500 employees in garment manufacturing sector. Kindly send details of the scheme to the following ID so that we can avail benefit under the scheme .